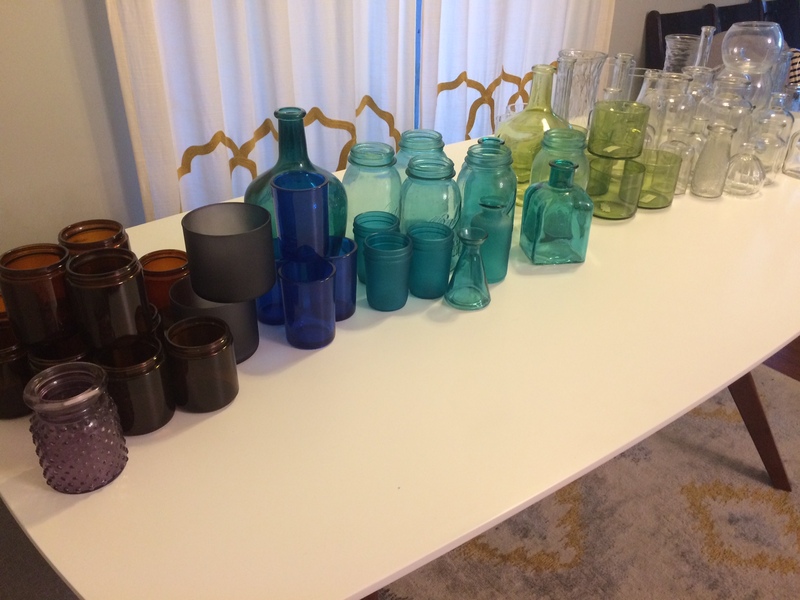 Over 70 colored and clear glass bottles of all shapes and sizes. 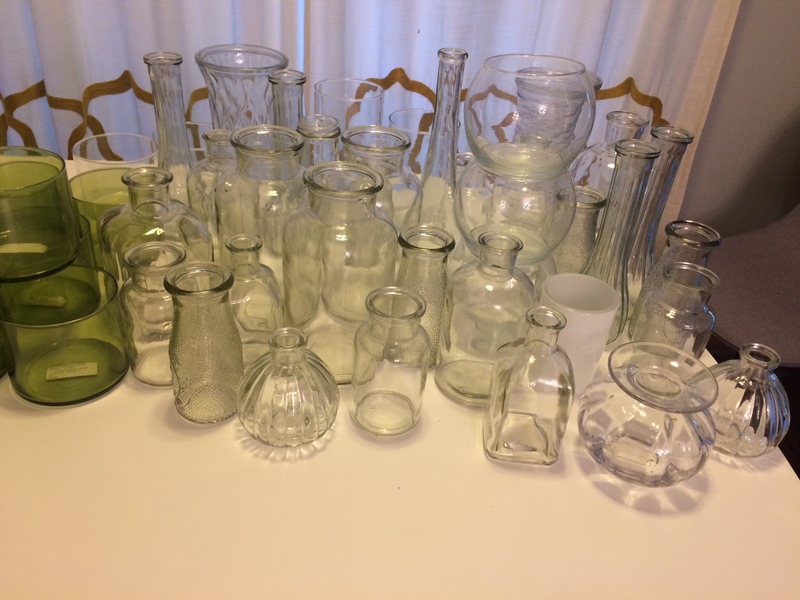 Perfect for home decor, wedding centerpieces, or decorations for any event! 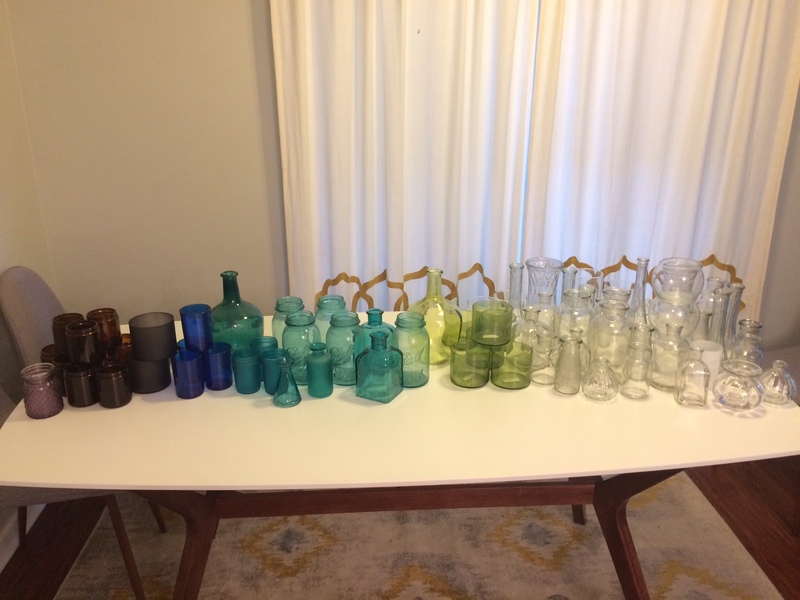 Some pieces are antique, but most are new. $150 or best offer.